India vs Australia 2019: Australian cricket team launched a new don retro kit for the upcoming ODIs versus India, which resembles the jersey used in the 80s'. 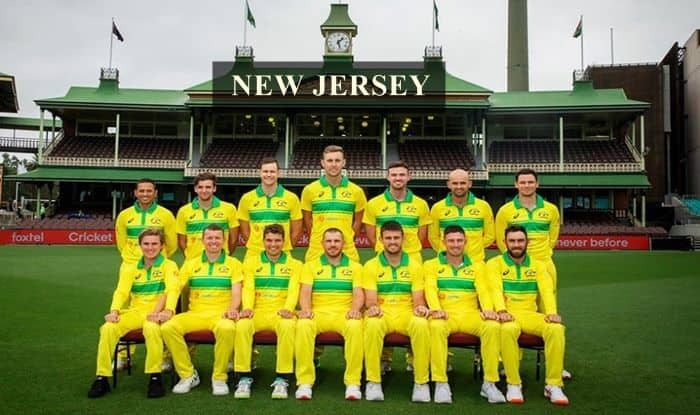 India vs Australia 2019: Australian cricket team launched a new don retro kit for the upcoming ODIs versus India, which resembles the jersey used in the 80s’. Aaron Finch’s Australia is ready to take us back to our childhood with the new kit which should create a frenzy among the 80s kids. It is the green and gold kit, the one worn by Allan Border’s men against India in 1986. The question is will it bring about a change in fortune for the hosts, who have recently lost 2-1 to India in the four-match Test series? “We found out the other day we were going to be in it, so the boys were a bit excited to get their pack and open up and check it out. “The 34-year-old, who is making a return to the ODI squad didn’t rule out adding a headband to his wardrobe as well, I might just pull out the headband,” he said. “I’ll have to ask Zamps (Adam Zampa) to borrow one of his and go with the DK (Lillee) headband. “We’ll see what we pull out on Saturday,” he added. India will take on Australia in three ODIs, starting with the first one in Sydney on Saturday, followed by games in Adelaide and Melbourne.